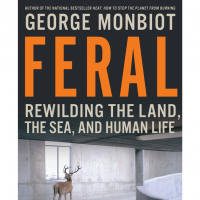 I’ve been away from home, taking in a bit of the Edinburgh Book Festival where I heard the very inspiring George Monbiot speak about his wonderful new book on rewilding, “Feral”, which give favourable mention to the Tay Beavers. I also saw some of the Fringe, including our son’s company, Clout Theatre’s show, ‘The Various Lives of Infinite Nullity.’ (Which I loved, in spite of its dark themes and bizarre twists, and fortunately, so did most reviewers). Did growing up here as feral children – as Sophie likes to claim – contribute in any way to our George’s curious and macabre imagination? Returning (with a little relief) to the rural idyll that is Bamff I heard from Rachel DuBois in the top flat that some people had been here talking about a plan to demonstrate timber extraction by pony. This is going to happen here at Bamff on 18th September. That strikes me as a great idea (if not exactly a new one). These days the machines that are used for timber extraction are like huge and expensive mechanical dinosaurs, and they won’t get out of bed for less than a large commercial plantation. This makes it difficult at a small place like Bamff, where we may just have a wee corner we want cut and extracted, to fuel our woodchip boiler – or we might want to fell part of a wood but leave the rest for the squirrels. An environmental approach to woodland management doesn’t always fit with the current highly scaled up commercial approach to timber production, and our imaginative woodland advisors Robbins Timber Services have come up with an alternative approach by collaborating with the Perthshire Machinery Ring. I’m not entirely sure where ponies fit in with this as a pony can only loosely be described as a machine, if at all, but I’ll probably find out more on 18th September. Meanwhile an email came from a BBC producer who is planning a series on Rewilding. So Paul and I both spoke to him on the phone about our beavers and wild boars and other rewilding matters, and we have promised to send more ideas as they occur to us. I am so pleased that rewilding’s time seems to have come. As the optimistic face of environmentalism, it stands to be a lot more popular than the old pessimistic, puritanical one, that only told us what not to do, buy, eat – how not to travel and where not to travel to. Which, nor surprisingly didn’t really catch on with a lot of the public. Is there some kind of parallel between bringing back formerly extinct forestry extraction methods and bringing back formerly extinct animals to benefit the land? Or am I stretching a point to infinite nullity? Yes – I might. What is your blog about? Whats up! I just want to give a huge thumbs up for the nice info you have here on this post. I will be coming again to your blog for more soon.